The Old City of Dubrovnik is a late-medieval walled city known for its Gothic, Renaissance and Baroque monuments. It developed under the name of “Ragusa” from the 14th century on as a maritime city-state. In its heydays during the 15th and 16th centuries it was a rival of Venice. A devastating earthquake in 1667 destroyed most of its public buildings and ended the city’s prosperity. Dubrovnik’s city walls, which were mainly during the 12th-17th centuries, are fully intact. They encircle most of the Old City, and are almost 2km long. One of my “Golden Rules of Travel” is to end a longer trip with a definite highlight. Of course unexpected highlights or disappointments do happen also, but I would advise anybody to end a journey in Angkor, Machu Picchu or even the Serengeti for that matter. It makes you go home fullfilled. Dubrovnik clearly is the equivalent of that in former Yugoslavia. Unfortunately the average tourist is aware of that status too, so this has become a very busy and expensive site to visit. The only thing that’s free is entering through the main city gate. A walk on the famous city walls will set you back 90 kuna (12 EUR) – quite steep as you have to walk all 2km yourself. 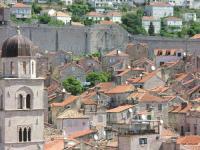 It is a must however: it offers the best views of the town, its churches and fortifications. Back on the ground, you notice that all buildings in town have been turned into either a restaurant or a souvenir shop. The overall cityscape with its orange tiles and natural stone is still brilliant though. Besides just roaming around, there’s not a whole lot to do within the old city. I found the church interiors disappointing, there are many better examples of Catholic churches to be seen in Italy, Spain or Latin America. There are some fine sculptures decorating the facades of buildings, and of course there is the round Onofrio’s fountain and Orlando / the Roland statue. I also took a ferry to Lokrum, the small island visible from the old harbour of Dubrovnik. This is also a popular thing to do, but fortunately most tourists don’t go very far and just hang around the harbour of Lokrum. I walked to the other side of the island, and was alone most of the time. It is quite a demanding hike, you have to cross the hill in the middle of the island. But on the north side you’re rewarded by some good views on Dubrovnik, its harbour, the Adriatic Sea and ships passing by. I went to Dubrovnik with friends in July 2013, taking a taxi up the Adriatic cost from the beautiful town of Kotor. We enjoyed a swim followed by a walk on the city walls. These give a nice all-round overview of the city, but are not suitable for those who have trouble with stairs. The old town is full of restaurants, bars and souvenir shops (pricey). Looking at it all, it is incredible to think that only two decades ago it was being shelled by Serbian forces. I visited Dubrovnik for 3 days in April 2014. It is definitely one of Croatia's highlights so I was happy to be able to enjoy the city without the crowds from the cruiseliners. That said, it doesn't mean that the city is ever empty apart from night time perhaps. Still it is well worth exploring the narrow streets within the fortified city. The highlight of my visit were not the city walls although the view was magnificent but the best view was definitely from Fort Lovrijenac. I only visited Dubrovnik on a day trip from Montenegro, and of course I had to share the city with many thouands of fellow tourists, including many cruise ship passengers. Still, it was a very nice experience, and easy to tell why the city is so popular. The best thing was walking along the impressive city walls, which was quite strenuous in the summer heat, but afforded fantastic views over the city, the sea, and the nearby islands. A walk along the Stradun, Dubrovnik's main street, is also very pleasant, and there are some beautiful buildings to visit, including the Cathedral, the Rector's Palace, and the Franciscan Monastery with its Pharmacy Museum. Highly recommended. The Old Town of Dubrovnik, or Ragusa as the city was named until 1918, is undoubtedly one of the most beautiful Mediterranean cities I have visited so far. The massive fortifications are impressive and a strong indication for the long and eventful history of the city. We entered the old town through the Pile Gate. Just behind the inner gate is the staircase to the city wall. It is an uninterrupted, two kilometre long tour around the entire old city and was definitely the highlight of our visit. In each of the four corners is an high defence tower, parts of the wall are more than 20 metres high and up to 6 metres wide. The city wall offers breathtaking views of Dubrovnik and the surroundings, you can look down into the narrow streets and backyards, and over red rooftops, domes and church towers. 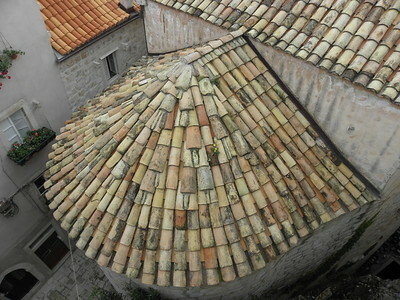 The photo shows the view from the Minceta tower, the highest point of the fortification. It takes about 1.5 hours to explore the entire city wall, but photographers may need more time. You should start early in the morning to avoid long queues (it opens at 9 am). In the main season, it is so crowded that the city wall is a one-way street, you have to walk in a clockwise direction to avoid congestion. Fortunately, we started early enough and could comfortably walk around everywhere. After we had finished our tour, we left the city wall at the Pile Gate and strolled along the Stradun, the main boulevard of the old town. Particularly striking is the smooth marble pavement from the 17th Century. There are street cafés and souvenir shops along the Stradun. It is crowded with tourists, just like all main streets and squares. But if you take one of the narrow streets or stairways that branch off the main street, you can find also some quiet places. At the end of the Stradun we went through the Ploce Gate to the Old Port. We were lucky to get a seat in the outdoor café and took a break watching the yachts and tourist boats. In the old town, there are beautiful buildings and picturesque squares, four monasteries and countless churches, some of them are so small that there is only space for a few worshippers. The Franciscan monastery is worth seeing. It has a beautiful Romanesque cloister with ornate double-columns and lush plants. In the monastery there is a museum with one of the oldest pharmacies in Europe, that dates from the 14th Century. Worth seeing are also the small church of Sveta Klara, the Onofrio Fountain, the Rectors Palace with its nice courtyard, and the Sponza Palace. I was surprised that there is also a Roland (Orlando) statue, the symbol of city liberties. I thought they can only be found in Central Europe. After leaving the old town, we went to the Lovrijenac fortress, which is not part of the city wall. We had to climb numerous stairs, but it is worthwhile, you have a wonderful view over the old town and the city walls. Dubrovnik is worth a visit, despite the tourist crowds. The location on a peninsula is gorgeous, the old town has wonderful squares and buildings, and the most impressive and best preserved fortifications that I have ever visited. Once upon a time there was a land called Yugoslavia. It was full of enchanted forests and beautiful scenery and was ruled by an enlightend despot named Joseph Broz Tito. It was nominally Communist, but they didn’t really care all that much about ideology, except, perhaps for keeping Tito in power for as long as he kept breathing. He kept the peace and the Soviets out, and sometime around 1950, his regime decided that tourism was something that should be encouraged for it’s own sake, and right there on the coast was a little walled town surrounded by beautiful hills and an azure sea. The place was Dubrovnick, and is as cute a resort town as you’ll find in these parts, and developed a reputation as the coolest place in the Eastern bloc. Tito died in 1980, and Yugoslavia was kept together by fear of Soviet invasion. Then in 1989, the Soviets let it out that they weren’t going to do that sort of thing anymore and all of a sudden the Eastern bloc had fallen apart, and so had Yugoslavia. The central government tried to keep the country together by force, there’s a big sign on the walls of Dubrovnik showing exactly where Yugoslav bombs hit. (It wasn’t just Serbia then). The whole thing would get a whole lot uglier to the north in Bosnia, but the Serbs pretty much gave up on Croatia in general and Dubrovnik in particular, leaving a bizarre-but-delightful mixture of medieval Europe and the Caribbean on this small peninsula near the southeastern tip of the Croatian coast. With Communism long gone, the locals have gotten into tourism big time. Outside the walled village, to call it a city would be a little much, there are dozens of resort hotels up and down the peninsula catering to anywhere from movie stars to backpackers, getting oneself into one of the ritzier resorts would be a challenge, but as I only had a few hours, I would have to concentrate on the old town, which after all is the main attraction. 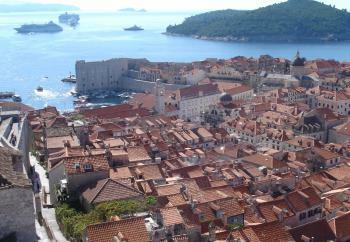 Dubrovnik’s secondary attraction is its size. The whole town is tiny, with the possible exception of the main square, and with the streets on the northern side little more than sidewalks, or in some cases, stairways, there’s an intimate, claustrophobic feel to everything, there are churches everywhere, baroque things full of centuries-old paintings, and little room for more than a few dozen worshipers at a time. There’s also a synagogue, but mostly what there are, are museums, restaurants and internet cafes. I’ve never seen so many of those things in a single place before. Computers everywhere! Very strange indeed. The prices for food and drink aren’t all that bad either. There are lots of places which offer really good seafood, or so I’m told, and the place I did go to had excellent fried squid. The people working the multitudinous cafes are rather nice about letting one sit there for extened periods of time, assuming of course you buy a drink or two, and this is a wonderful town to practice the art of people watching. There is also an secret entrance in one of the seaward walls to a beach, this has an excellent view of the harbor. I’m not really sure if you can stay in the old town, but there’s a really good, if always crowded mass transit system, so getting to a hotel is easy. 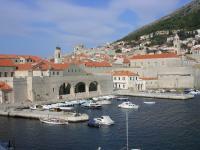 Dubrovnik is undoubtedly just as nice a resort as you can find anywhere else in the Adriatic. Dubrovnik was an important republic of merchants similar to Venice, Pisa and Genoa. 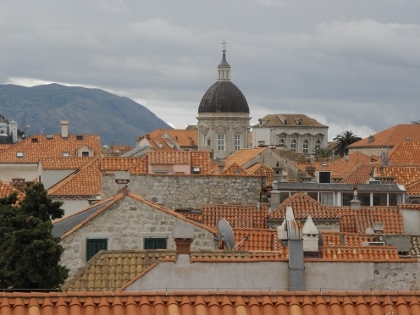 Unlike the other three Dubrovnik was seriously damaged by an earth quake which not only irreversibly changed its appearance but also led to its decline and eventual loss of independence. The city was reconstructed during the 19th century and my impression was that a very good job had been carried out. The magnificent wide (and alas too crowded) streets feel organic in their design and the stone pavements shine with a lovely glitter. Only the bald churches expose the degree of destruction this city once suffered. Dubrovik is quite a big city and even the inner town is pretty big compared to other walled cities along the Croatian coast. It is a beautiful walled city, but the masses of tourists accompanied by tour guides speaking through microphones on the street takes the charm away. Wander up the stairs into the little streets and you will get a better feeling for this busy city. Dubrovnik has many epithets, but none of them prepare you for the sheer perfection of the place. The location, the views, the colours, building materials, everything comes together as a wonderfully brilliant whole. I visited in February, and, while the weather was cold, I was blessed with impeccable sunshine, which is the only way to truly appreciate Dubrovnik's splendour. The town is compact and easy to explore, with the highlights for me being the city walls and the various churches dotted around the centre. For accommodation for the cost-conscious, I highly recommend the private rooms that are marked by the blue "Sobe" signs, very quaint and very affordable. I visited Dubrovnik in 95 I found it full of old world charm The sea food was great I visited a wonderful little jazz bar. Just out side of the old wall was a well known Pizzaria named Red Tomatoe. There was wonderfull Itallian shoe stores. A tiny little shop that sold crystal bought by all the royal houses. You can almost feel the history. If any thing even the worst photographer couldn't walk away with a handfull of good photos. Dubrovnik was the most magical, beautiful city we visited in the late '70's. The burnished stone of the streets glowed from the lamps, the dark coffee was delicious, the atmosphere incredible. My husband and I sat and sipped coffee by the Adriatic, ships in the harbor, while a group of musicians played violin. Exploring up the next level of streets was a surprise, as well. We took our own tour. Dubrovnik is the most beautiful city in Europe. Take your time strolling around the streets and the City Walls. Remember to take a drink with you for your walk on the city walls - because if you buy one on the wall, it will cost you a lot of money. The food in Dubrovnik is okay - definately not great in tourist season, and not nearly as good as in Bosnia. Dubrovnik restaurants should try to improve their fare and their prices. As well, if you want to sleep at night, do not get a room near the main street, especially on the weekend! Get a pensione off the beaten path, but definately within the old city walls. Take the ferry to Lokrum Island - but beware - there are no 'beaches', just SHARP rocks which will cut your feet.Purchase a pair of flip-flops or sandals and a mask and snorkel before you head to the 'beaches' - the water is magnificent and clear blue! What an experience.I cannot wait to return! Historic Pharmacies: Old Pharmacy, located inside the Franciscan monastery, was opened in 1317. It is the third oldest pharmacy in Europe, but the only one of these still working. Damaged in War since WWII: Yugoslav Civil Wars "On October 1, 1991 Dubrovnik was attacked by JNA with a sige of Dubrovnik that lasted for seven months. The heaviest artillery attack was on December 6 with 19 people killed and 60 wounded. Total casualties in the conflict according to Croatian Red Corss were 114 killed civilians, among them celebrated poet Milan Milisic. Foreign newspapers have been criticised for exaggerating the damage sustained by the old town, instead of responding to human casualties. 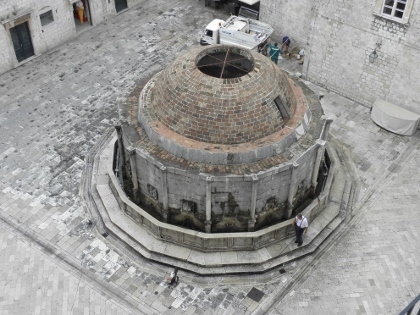 Nonetheless, the artillery attacks on Dubrovnik damaged 56% of its buildings to some degree, as the historic walled city, a UNESCO world heritage site, sustained 650 hits by artillery rounds. The Croatian army lifted the siege in May 1992"
Former Islands: Dubrovnik and Ragusa used to be separate settlements the second being located on an island. The two were united in the 12th Century when the channel which separated the two was filled with earth. 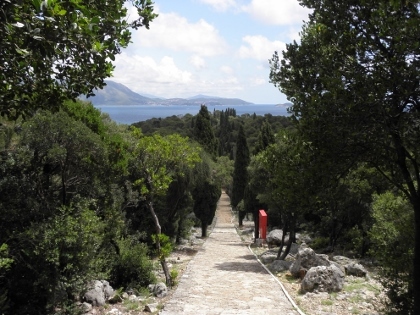 Botanical Gardens: On Island of Lokrum. Founded in 1959 but developed out of the tradition for growing imported plants on the island brought in first by the Benedictines and then, from 1859, by Maximilian of Hapsburg for his mansion there. Benedictines: A Benedictine Monastery was founded on the island of Lokrum in 1063. They stayed until 1798. The ruins remain. Twin Towns: Dubrovnik and Ragusa were separate entities until the 12th Century. 401 Community Members have visited.